The Spring/Summer 2018 Collection from Jangneus has arrived! We love the designs and colors in Jangneus' latest collection. 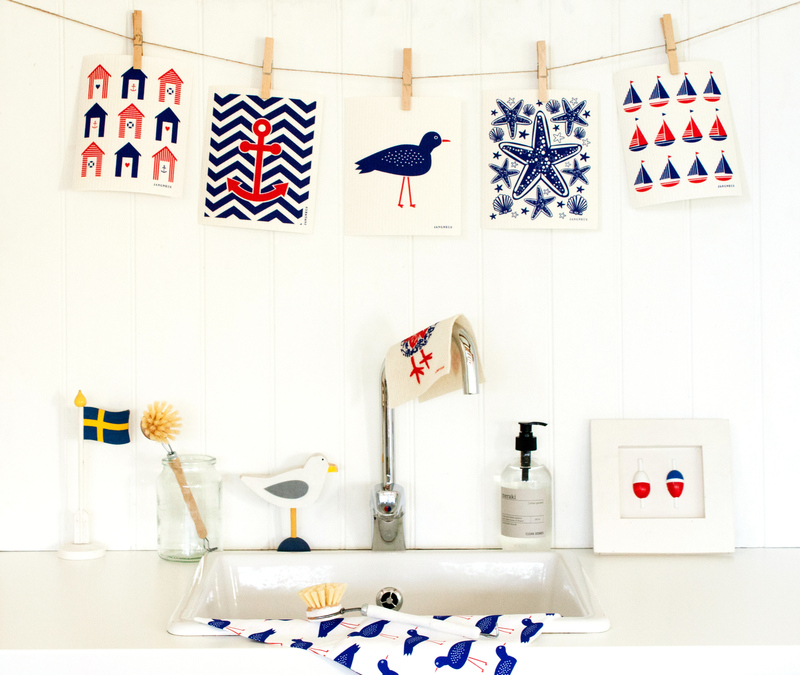 This season's collection is full of summer themed designs that are sure to brighten your kitchen. Whether you love flowers or a summery seaside vibe, you are sure to find something that will make your kitchen a prettier place this season. We have added new colors to our collection as well; pinks, yellows and turquoise are a few of the new colors on offer. Don't worry though, our bestsellers, like the sheep and herbs, are still in stock. Jangneus was launched in 2009 with one core product, the Swedish dishcloth. 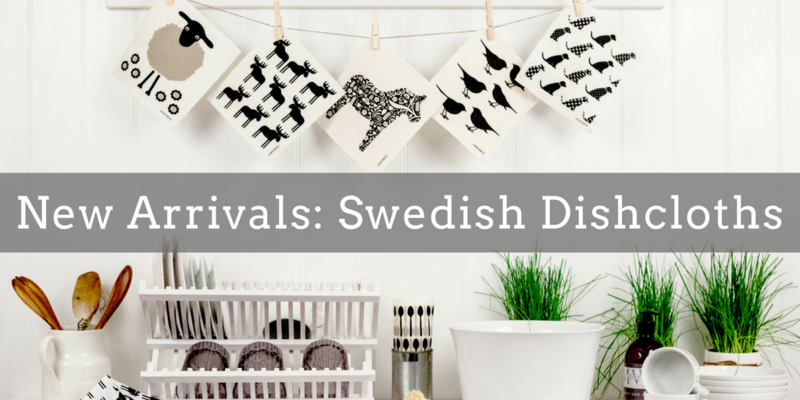 As our #1 Bestseller, these dishcloths are guaranteed to bring fresh Scandinavian style into your kitchen. 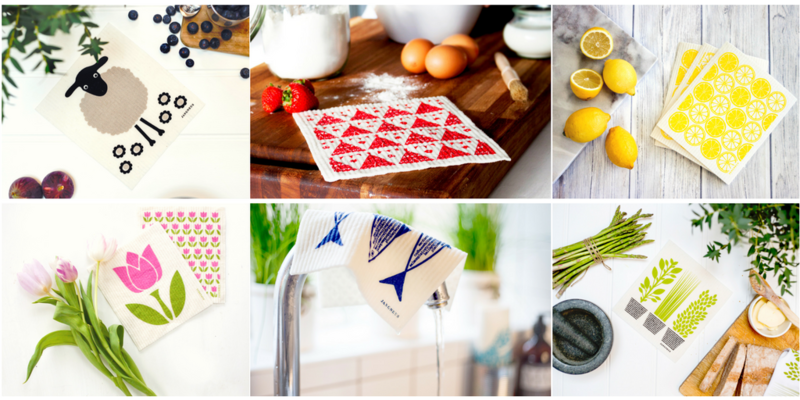 Used in Swedish kitchens since the 1950’s, these tried and trusted dishcloths are made of all natural and renewable materials. The founder, Marie Jangneus-Davis, finds the inspiration for her designs from a multitude of places and emotions, especially when at home, visiting her roots in Dalarna, Sweden. You can read up on her favorite parts of her job, where she finds design inspiration and her tips on how to freshen up a home in her Designer Spotlight and Q&A.